Money. What is it? Why do we need more of it to buy the luxuries of life like bread, milk and sugar? Money primarily consists of currency (notes and coin) and credit. Credit allows you to buy things just as well as money does. The more credit available, the more you can buy. But things were not always like the MODERN world. 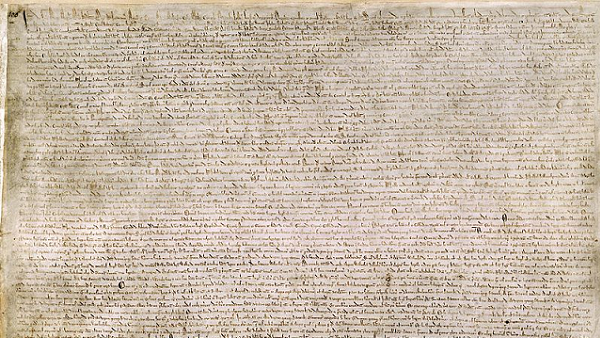 Consider the Great Charter (Magna Carta) of 1215. The barons, representing the people, laid down some rules. Among these was the idea that property could not be confiscated by the king unless he paid a fair price for it. Now this would clearly have been a problem for King John. He liked to take people’s property without paying for it, especially when it was the property called money. After he signed Magna Carta, whenever he took money he would have to pay for it, hardly a satisfactory arrangement for him. Why take money if you only have to give it back in payment? For any king such a rule becomes difficult to live with. Especially if you want to take people’s money for royal programs of any kind. Commonly, taking this money was called taxation, and the Great Charter helps explain why taxes were so low until recent times. In fact, it helps to explain why there was no income tax in strongly Christian countries such as the USA until about 1900. Prior to that, taxes were port charges, import and export duties, or transaction taxes of some kind. The income tax changed all that. It also helps explain why it was essential for the taxing authorities to abandon the idea that money was property. And the easiest way to do this was to get people off the gold or silver standard and replace it with a representation of gold and silver, a promissory note. Politically and theologically, taxes are a mark of sovereignty. Whoever taxes is superior to the one being taxed. This is why nations do not pay taxes to one another – unless they are subjected militarily to them. Equals do not tax one another; superiors tax inferiors. Knowing this is important when it comes to investing. Knowing what money is and what it ought to be allows people to construct an investment portfolio that has the best chance of preserving assets. No investment opportunity can give complete protection. But a prudent choice of a variety of investments can help you as you prepare for the future.